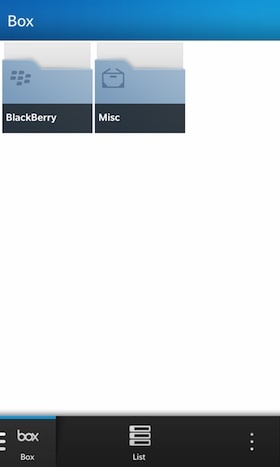 BlackBerry 10 features some awesome integration including Dropbox, Evernote and Box. With Box, you can seamlessly integrate your account so your files will be accessible right from the file manager on BlackBerry 10. 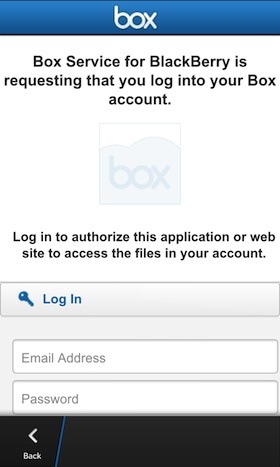 You can even choose to automatically upload photos and videos from your device to your Box account. 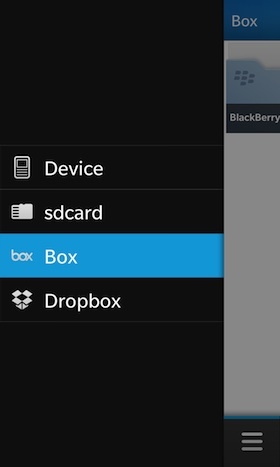 When you take a photo or shoot a video on your BlackBerry 10 device, Box will grab it and automatically sync the files to your account so you can access them from a PC or another device connected to Box. Your Box files are localized on your device so you can always get to them on the go and will stay in sync across your devices with your Box account. This makes for a truly great experience and provides useful in numerous ways. 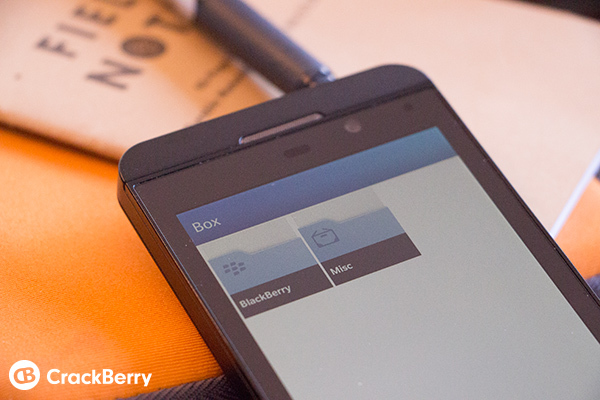 Keep reading and we'll show you how to get up and running with Box on your BlackBerry 10 device. After you connect Box, you will see a screen with a few settings where you can choose to sync both files and videos. 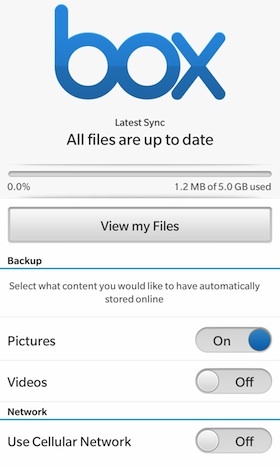 Toggle these on if you want to sync photos and videos taken on your BlackBerry 10 device to your Box acount. A fun thing to note is here that anything you drop in the camera folder on your device will sync with Box after you complete the setup. 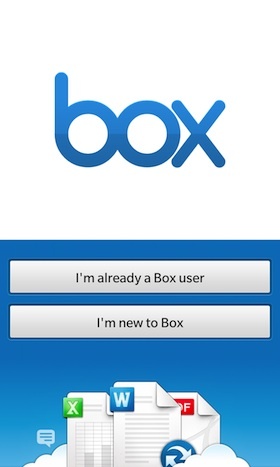 Here you will see your Box files and folders and are free to copy, move and share them right from your device. 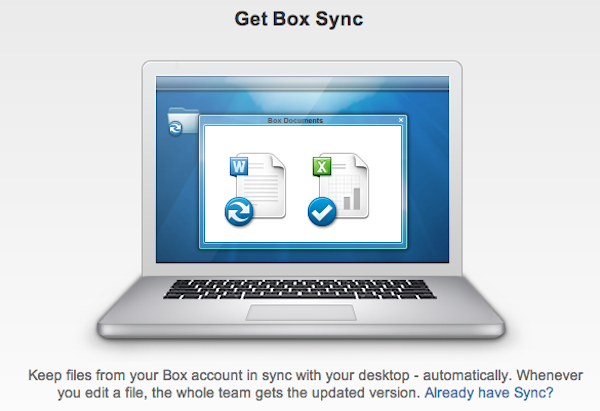 You can also install Box sync on your computer to sync files between your BlackBerry 10 device and a Windows PC or Mac. Once installed you'll be able to transfer files back and forth on both devices. This setup is the same as connecting to Dropbox.